The Square type of is looked like in square form. 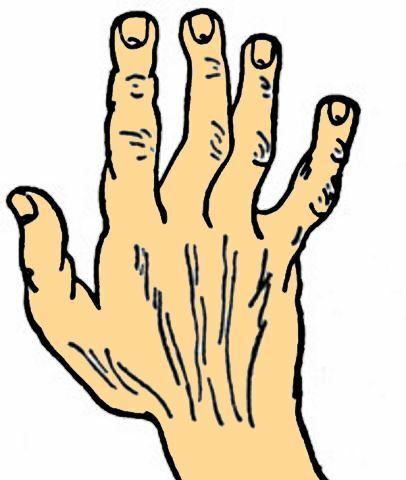 This type of hand is even and straight at your bottom of your fingers, at your wrist and at all sides. Your fingers also possess a square shape. Your thumb is long; set high on your hand, well formed and sticks well out from your palm. Square hand is known as useful or practical hand. If you possess this kind of palm then you are logical, practical and materialistic. You think of the earth and belong to the earth. You possess very little idealism or imagination. You are serious workers, solid, painstaking and methodical. You believe only by proven things. You do not believe in any rumours. You are religious. Even you are very superstitious in respect of your habit is concerned. You are obstinate and determined, particularly if your thumb is1st joint stiff and long. You may get success in those kinds of works where you do not need creative or imaginative abilities. 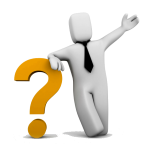 If you turn into lawyer, businessman, scientist or doctor then you may get immense success. The Elementary hand is the lowest possible kinds of all. It is only a little higher than the animal creation. It is excessive short, brutal looking and thick. In observing this kind you may just expect to come across it the look of all which is brutal, coarse and animal. 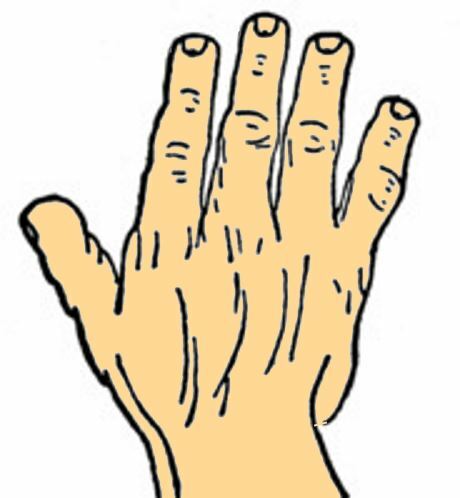 If you possess this kind of hand then your mental ability or development may be very little. Normally, you involve in untrained occupation or even the lowest from it. Your temper is violent. You have no control over your anger. You are crude in your ideas. You have hardly any imagination, sentiment or feeling. Your nervous system may not develop much. You do not feel any sort of pain as the other improves types of people feel. You do not possess aims apart from drinking, eating and sleeping. Your thumb is excessive short and squatty with the elementary type. The Philosophic hand denotes wisdom and love. All people who possess these kinds of palm have an inclination towards the Philosophy. Nothing can root out this sort of qualities from them. Normally, a Philosophic palm is thin. It is bony, long and angular with difficult joints. 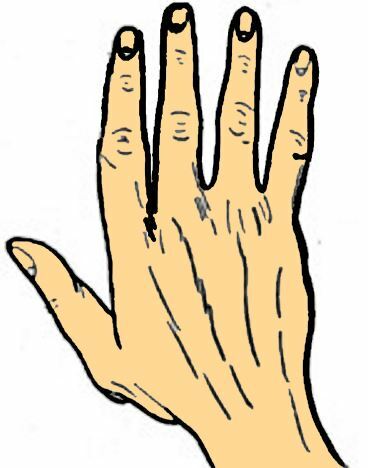 If you possess this type of hand then you are very studious. You are a great reader. Usually you have the inclination to the literature. You love deskbound work. You possess an ascetic and lonely nature. For this sort of quality frequently you are observed in the church life. You are largely related to the spiritual movements. Those people who compiled the brilliant manuscripts on science, doctrine, alchemy, art or occult matters possessed the Philosophic hand. In the present times, this type of hand can easily be identified and the features it describes remain alike even in the era if machinery and money-getting. Now- a -days, it is much more usual to search a little modification of the actual Philosophic hand in that of the palm with square palm along with the fingers belonging to be the Philosophical type. In these cases, the realistic character is the foundation or basis on which the intellectual minds create their theories, their literary achievements, their scientific researches or their religions. As per norm, the Line of Head on the Philosophic hand is sloping. It can also be noticed straight Head Line. If the Head Line is level headed in nature then it may be much more realistic use of intellectual nature. Normally, if you possess this kind of hand then you may do not have so much wealth like the people of the Square hand. The jointed and knotted fingers provide detail and alertness in study or work. You capture the urge of brain. Hence you have lots of time to think and reflection. The Philosophic palm is one of the most improvements of the mental side of human family. 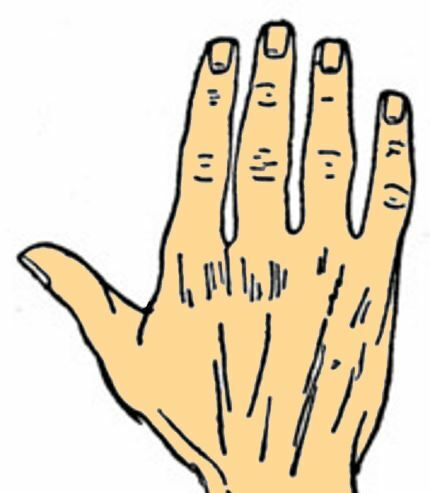 If you have this kind of palm then you are always beating at something. You are full of indefatigable energy. You are massive worker in everything which you take up. Normally you are amazing for your innovation. You have huge creative and imaginative power. You are eccentric and inventive. In addition, you are very emotional and demonstrative. You are the exact opposite in nature than the type of Square hand. The Spatulate type of palm possesses irregular form also. It can be broader at the bottom if your finger than your wrist. 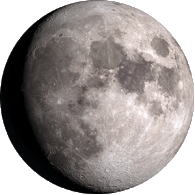 Again it can be found that it is broader at your wrist than your bottom of the fingers. In the former case, you are much more practical in your work and opinion. You are less impulsive. In the last case, you are much more taken away with your impulses, action, speech, impetuous and hasty in nature. The Mixed hand is the collection of all kinds of hands. Frequently it is noticed that all of your fingers are different from the other, like one is pointed, one is Spatulate, one is Psychic and one is Square, and so on. Even many times your hand can be of one kind, like Spatulate along with different fingers. If you possess this kind of palm then you are full of versatility. But the interesting fact is that you are changeable in nature. Hence you do not get success in spite being talented. Normally, you are able to do very little of everything but not anything well. You may talk on any kind of subject which may pop up. But you are unable to impress your listeners instead of possessing depth of thought on that very subject. If the Line of head is observed on your palm clearly and straight then there is only chance to you to improve your talent which you possess. The Psychic or Idealistic hand is considered to be the highest improvement of the palm on the only mental plane. But actually this type of palm is least victorious of all hands. If you possess this kind of hand than you may spend your life in dreamy and ideal thoughts. You do not know the actual or the material part of existence. If you go for earning your bread then you may earn so little that you normally spend your day in starvation. This attractive hand does not appear created for work in any point of view. You are very religious and weak to compact blows and grasp your own in the fight of life. If you possess money of your own to survive or you are supported by the other people, all can be good and in this case you may liable to improve odd psychic gifts conducting with ideal and vision which some people may make out or hear. Or else your fortune as the norm is a depressing one. You may simply be forced by the cruder type of humankind or in sheer vulnerability. You take your own live. Hence you finish the uneven struggle. In configuration, you are hardly physically powerful. As a result, you are even more unsuitable for the battle of existence. The Artistic or Conic hand is always charming to look at. Its fingers are pointed and tapering. It is called “Artistic Hand” not only for its looks but also for its qualities. 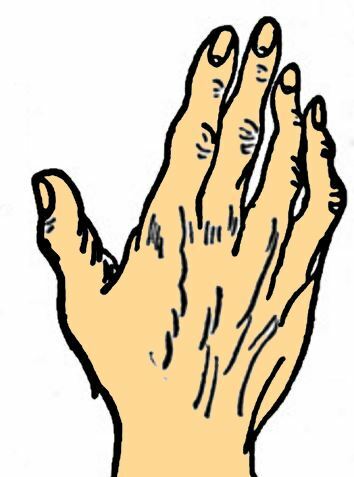 If you possess this kind of hand then it may not be possible to design striking things or paint pictures. But you may possess the artistic and emotional temperament that adores the beautiful atmospheres. You are sensitive in respect of music, colour and all kinds of fine arts. It is mainly depended on the sort of Line of Head you possess and the desire exhibited by it whether you may improve your natural creative temperament or not. This type of hand normally is fleshy, full and soft. There is a definitely distinct lethargy in the characteristic that if not surmount, fights the hard work very much needed to obtain the actual outcome. Almost all emotional persons possess the Conic or Artistic hand. But many of these people spend their time by appreciating the art rather than creating something in their own efforts. If your hand is much firmer and harder then you may make something creative in your own abilities. Right and Left hand must be examined together to see their harmony. If they do then the sign of the line is more accurate. If something is signed on your left palm and does not possess in your right palm then the propensity may be in your nature. If it is not signed on your right palm then you may not get any outcome. 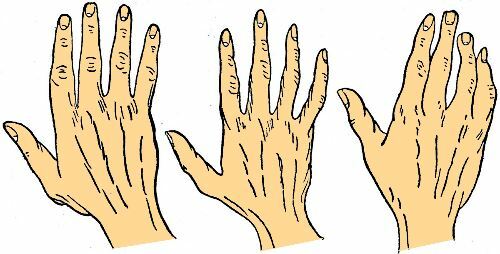 If the both the palms are similar then it indicates that you have not gained anything from the nature or heredity. It should be remembered that we use the left portion of the brain than the right portion. 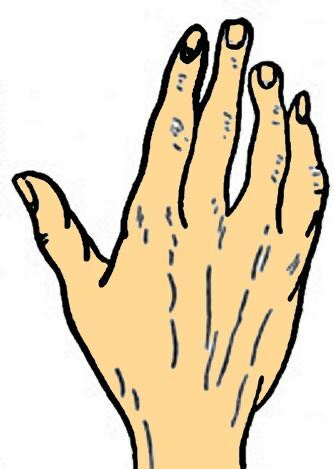 The nerve crosses and goes to the right palm. As a result, the right hand indicates the active and developed brain. 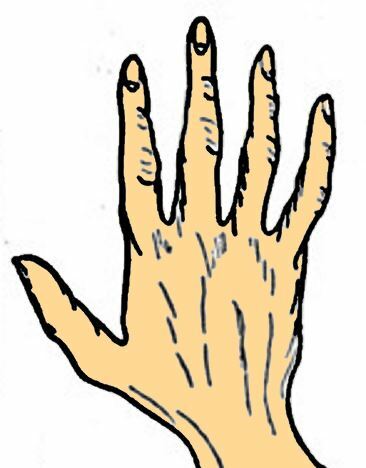 The left palm only provides the normal inclinations or tendencies. To be accurate and scientific you should always remember the principle and you should not make a judgment after examining some good lines. Then you may not obtain the actual outcome.